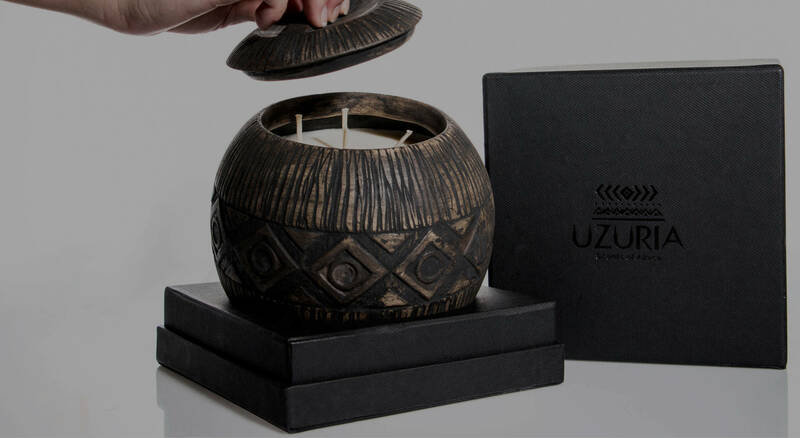 Was founded in South Africa in 2015 with the desire to design and develop uniquely African, handcrafted, Home Fragrance products. UZURIA is a composition of the Swahili word, “uzuri,” meaning “beauty,” and the letter, “A”, for Africa. We take pride in displaying African beauty in our products. By working closely with artisans and manufacturing our products locally, we know what goes into each product, and can be hands-on in every step of the production, guaranteeing high quality products to our customers. Our candles are inspired by traditional, African shapes and patterns. 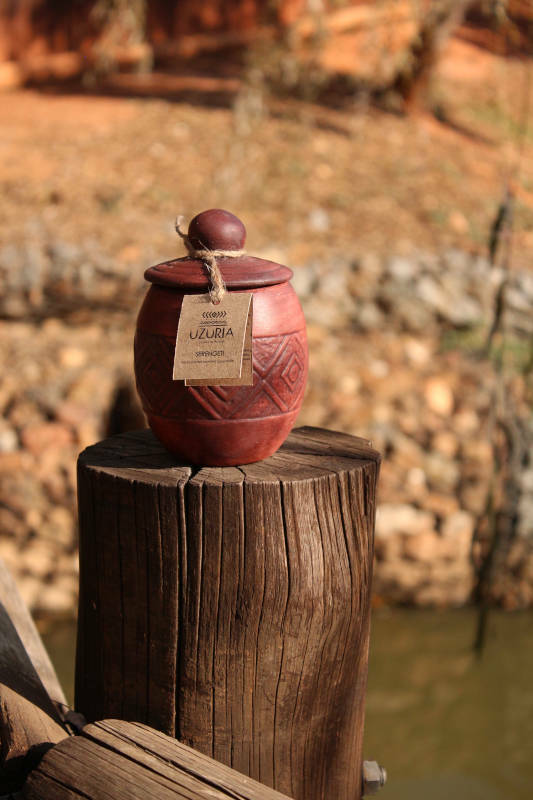 Our scents are unique blends that seek to embody African aromas. 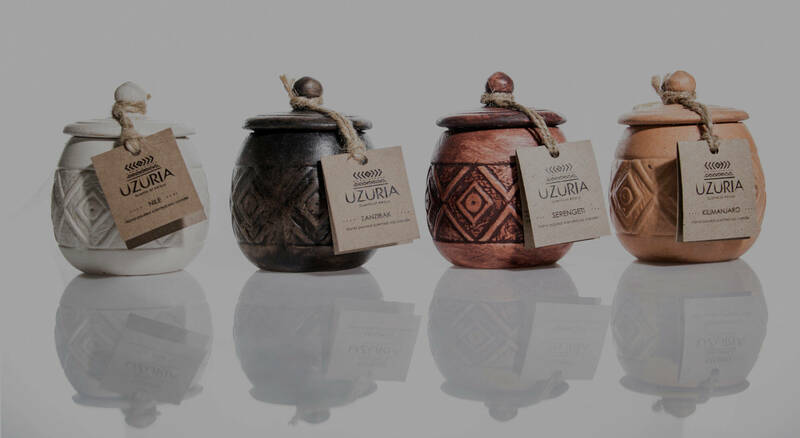 For each UZURIA product sold, a fixed percentage goes towards the care of orphaned, abandoned, and vulnerable babies at the MUPHAMUZI BABY HOME in Pretoria, South Africa. Open in February 2012, the MUPHAMUZI BABY HOME exist as a bridge between abandoned and cherished where safety is found, and a family is given. Please CLICK HERE to find out more about the MUPHAMUZI BABY HOME. NATURALSoy wax is made from soybeans which are vegetables. CLEANER BURNINGSoy wax is nontoxic and burns cleaner than chemical waxes. LONG BURNINGSoy wax candles last longer because of their slow burning time. STRONG SCENTSoy wax candles hold and release scent better than other waxes. We make our candles in small batches, pouring every candle by hand, only using 100% Vegetable Wax (Soy wax), the best and most exquisite fragrance oils, 100% Cotton wicks and unique handmade African clay pots. Each one of our candles is UNIQUE. 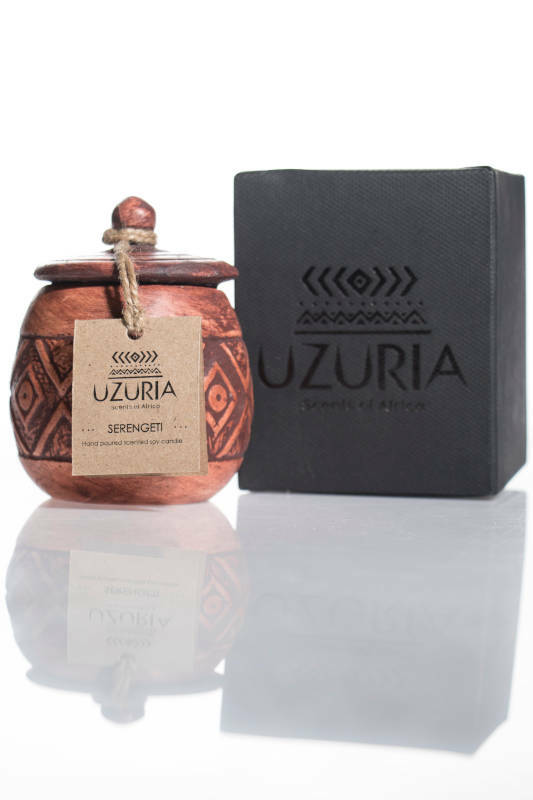 Uzuria candles come in three sizes: 280g, 600g and 2.5kg. 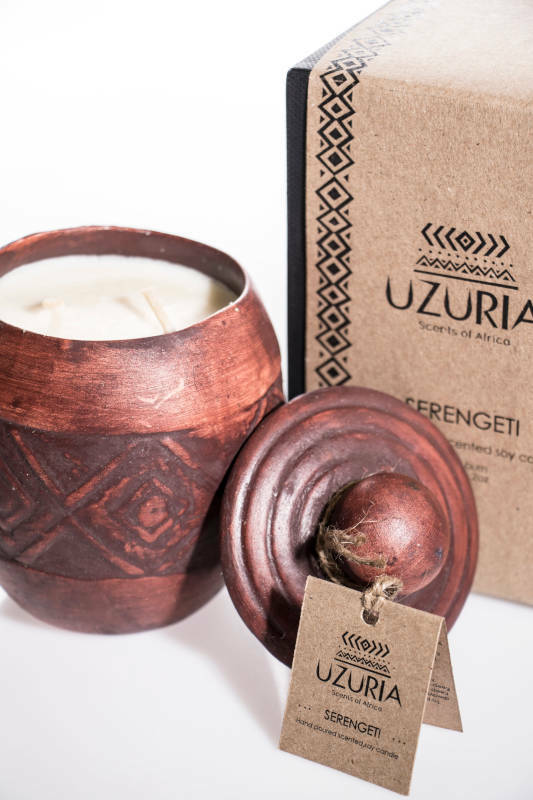 (brown pot candle) has a unique blend of Marula, strawberry, vanilla and rose scents. 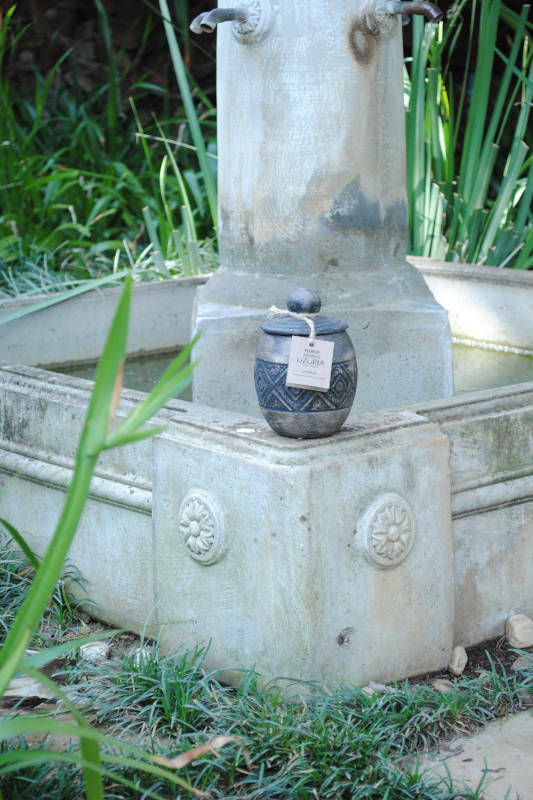 (black pot candle) has a unique blend of Marula, White Chocolate and Apricot. (white pot candle) has a unique blend of Apricot, Apple, Passion Fruit and Peach. (orange pot candle) has a unique blend of White Chocolate, Mango and Papaya.